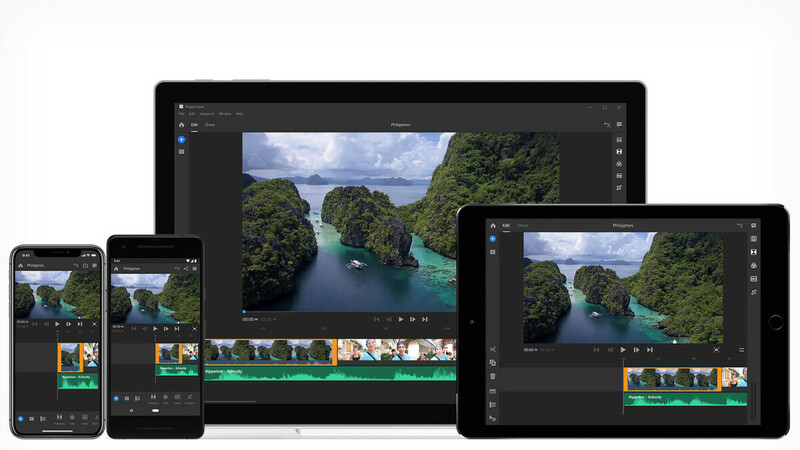 Adobe has launched a new video-editing app aimed at YouTube content creators. Called Premiere Rush CC, the app is available now on iOS and desktop with an Android release in the cards for sometime in 2019. As the name suggests, Adobe Premiere Rush CC is “designed specifically for online video creators,” and as such, it features an intuitive, user-friendly interface and flexible export options that will allow you to get optimized results for the most popular social platforms out there. Rush CC implements some of the more advanced features that make Adobe's professional video editing programs, such as Premiere and After Effects, stand out from the rest on PCs, but presents them in a more simplified form that's easier to deal with on the go. You can achieve some pretty sleek results with Premiere Rush CC and in a relatively short time. For example, if you don't feel like animating your own title card from scratch, there are some resources available that you can use to simplify and speed up the process. Adobe Premiere Rush CC starts at $9.99 a month for individuals but is also included in some Adobe Creative Cloud plans. The Starter Plan allows you to create and export projects for free, though with some limitations. Cool! Now I can’t wait to replace my ipad pro 10.5 with ipad pro 11”.